My child is already tested so much at school, why do you want to do more assessment? I understand that children are assessed a lot at school. There is a difference between those benchmark assessments and my testing. The assessments I will be doing are diagnostic. They are designed to discover just what areas your child is having difficulty with to help us formulate a learning plan. At school, they perform assessments that compare students to national benchmarks and averages. I want my child to have tutoring help. Where do I start? Call or email today and I'll set up a free consultation. We will discuss your concerns, your child's interests and learning experiences and your goals for tutoring. The first session or two will be devoted to finding your child's just right reading level. We'll dig in and explore different areas of literacy. I will use this information to form a plan for moving your child forward. After completing the assessment, I will discuss the results with you either in person or by phone and set some goals for the next few months. 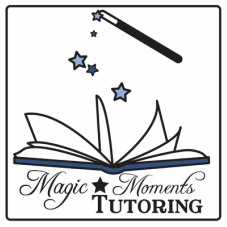 What does a typical tutoring session look like? Each session is designed to meet a child's individual needs, build on their strengths and solidify areas of concern. A typical session for a beginning reader might include: building fluency with familiar stories, high frequency word practice, writing about reading, applying literacy strategies to new stories, phonics and phonemic awareness activities and games and comprehension activities. I believe in keeping children very engaged and changing activities frequently. Children aren't going to learn if they are bored and applying new learning in a variety of ways helps solidify new understandings.